Beach House was not unknown before Teen Dream was released, but it was that album that put them on the map as a constantly improving, effortlessly impressive dream pop duo. But Bloom, not unlike their previous albums, sees its biggest strengths in the production and in how the album sounds rather than how good the songs are. With little change in style or structure from their past three LPs, an ordinary song blooms into a sonic experience purely through studio manipulation, and that is the only kind of growth that the title implies. "Teen Dream 2", even "Devotion 3" or "Beach House 4": Any of them would have been more suitable for a title than "Bloom." Of course, there’s certainly another side to that. There’s the classic “if it ain’t broke, don’t fix it” argument, and why shouldn’t there be? 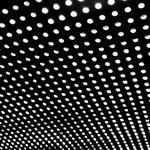 Bands more successful and acclaimed than Beach House have certainly stuck to their formula and repeatedly found success. Likewise, production is part of what goes into an album, so if you can make the album have the perfect sound to make critic after critic use words like “ethereal” and “beautiful” to describe your music, you might as well. My Bloody Valentine created an entire movement with that technique (although they aimed for adjectives on the other end of the spectrum). And indeed, Bloom absolutely shimmers, from the gorgeous interplay of the piano and guitar that open the album to the fade that ends the much more subdued hidden track “Wherever You Go” at the other end of the album. In fact, you would be hard pressed to find a moment on this album that doesn’t make you think of a beautiful, romantic summer day. Unfortunately for Beach House, that’s largely because by the time you get half way through the album the riffs start to sound eerily familiar and a couple songs later you might wonder if you heard them not once, but twice already. With Bloom, the better songs sound like they could have been on Teen Dream and the rest of them on the self-titled or Devotion, and all of them sound like they were earlier in the album. There is no growth in Victoria Legrand’s or Alex Scally’s songwriting that shows on the album. For every enchanting, complete Myth there’s an empty New Year; for every Wishes where familiarity is like greeting an old friend after a long separation, there’s an On The Sea that sounds more tired than familiar. As such, it is becoming harder not to listen to Beach House in general, Bloom in particular, without realizing that the Cocteau Twins made similar music without sounding rehashed quite so often. Like past efforts, Bloom’s lyrics are largely hit and miss, except here they hit a bit harder but miss a little more. The overuse of pronouns and lack of imagery replace the specificity that made Teen Dream and even Devotion somewhat interesting lyrically. Bloom, unfortunately, becomes less interesting with the more attention you pay to it, largely because there is not much to set it apart from its predecessors. It’s more of the same but trying just a bit harder, resulting in a record of more extremes. While this is, in many ways, a welcome change from the glorified monotony that is way too common in dream pop records today, most of the positive notes are on the first half of the record, creating a listen whose unevenness hinders in an exceedingly ironic way the theme of life in the present that the album tries so hard to convey with honesty. Bloom has the perfect sound for background music: it starts out on a great note, its keyboards are warm and its guitars are gentle, and it rarely sways away from that warmth. If you want something to soundtrack your summer fun (Wild) or your summer breakup (Other People), you have a pretty good candidate right here. My advice: Keep it in the background. There’s just no reason to listen to Bloom all the way through if you have already put time into Beach House’s backlog. The songwriting is rarely stronger, never different, and more hit-and-miss than I thought Beach House were capable of. It's not their worst record, but it's already their most tired, and that should never, ever happen on a fourth LP. But at least it's pretty.